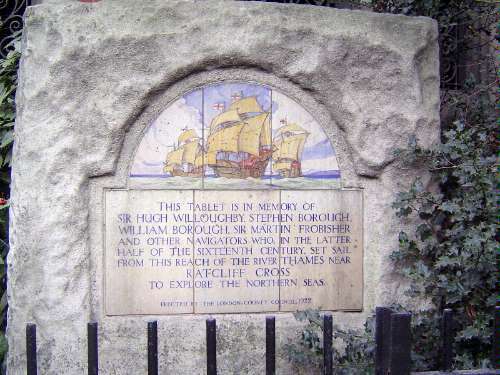 The park also has a monument to several mariners who set out from near this point. Hugh Willoughby in particular discovered Novaya Zemlya. That fact was deduced from the journals found on his ship the year after all hands, Willoughby included, froze to death in the winter of 1553-54.